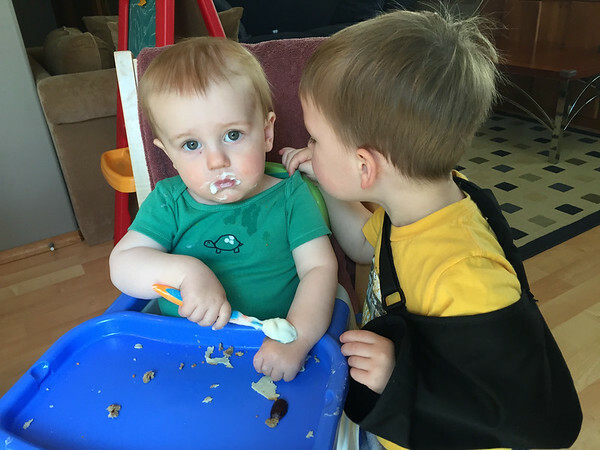 Cooper checks Nicholas’ collarbone to make sure that he hasn’t broken his too. It has been one week and you would never guess Cooper has a broken collarbone except for the fact that he is still wearing his sling. He had one fall, at toddler group, where his cry made me think he may have re-broken it, but he was better within a couple of hours. 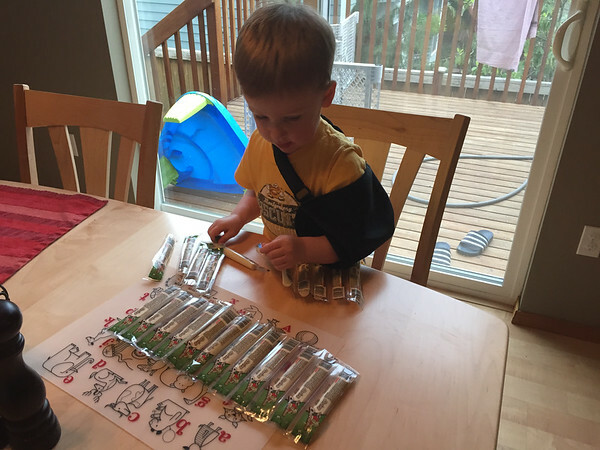 Here he is busy tearing apart cheese sticks for toddler group snack and using both arms pretty equally. We had to go to the doctor (Nicholas fell backwards in his chair so we were getting his head checked for signs of concussion. 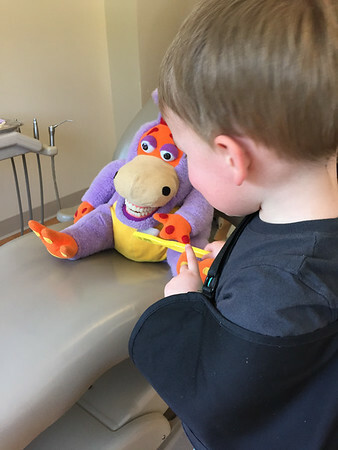 Yes it has been one of those weeks…) and when the doctor was pressing on Cooper’s collarbone he didn’t flinch or react at all. 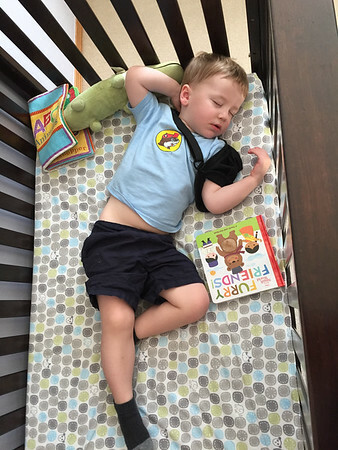 The sling position after sleeping is usually above his elbow now. We can change Cooper’s shirt without a complaint now and early on that caused him the most discomfort.